Shadow Lives reveals the unseen side of the ‘9/11 wars’: their impact on the wives and families of men incarcerated in Guantanamo, or in prison or under house arrest in Britain and the US. 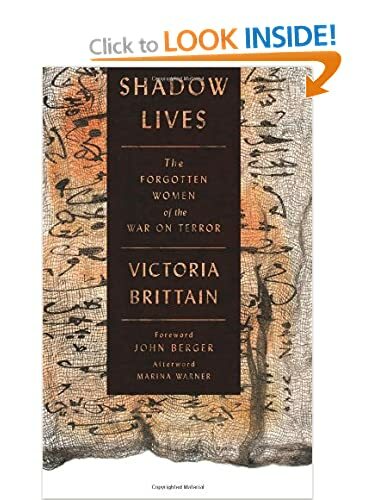 Victoria Brittain shows how these families have been made socially invisible and a convenient scapegoat for the state in order to exercise arbitrary powers under the cover of the ‘War on Terror’. A disturbing exposé of the perilous state of freedom and democracy in our society, the book reveals how a culture of intolerance and cruelty has left individuals at the mercy of the security services’ unverifiable accusations and punitive punishments. Both a j’accuse and a testament to the strength and humanity of the families, Shadow Lives shows the methods of incarceration and social control being used by the British state and gives a voice to the families whose lives have been turned upside down. In doing so it raises urgent questions about civil liberties which no one can afford to ignore. Victoria Brittain lived and worked as a journalist in Washington, Nairobi, Saigon, Algiers and London, and has travelled extensively in Africa and the Middle East. She worked at the Guardian for 20 years. She is author of Death of Dignity: Angola’s Civil War (1997), co-author of Moazzam Begg’s Guantanamo memoir, Enemy Combatant (2006) and author and co-author of two verbatim plays.